When I first arrived in the US, I remember how delighted I was to go to McDonald’s on a regular basis for some chicken McNuggets and fries. Yes. You read it right. I indulged myself in the nutritionist-disapproved fare. When you immigrate from a place that is hungry and poor, you can’t afford to be picky. 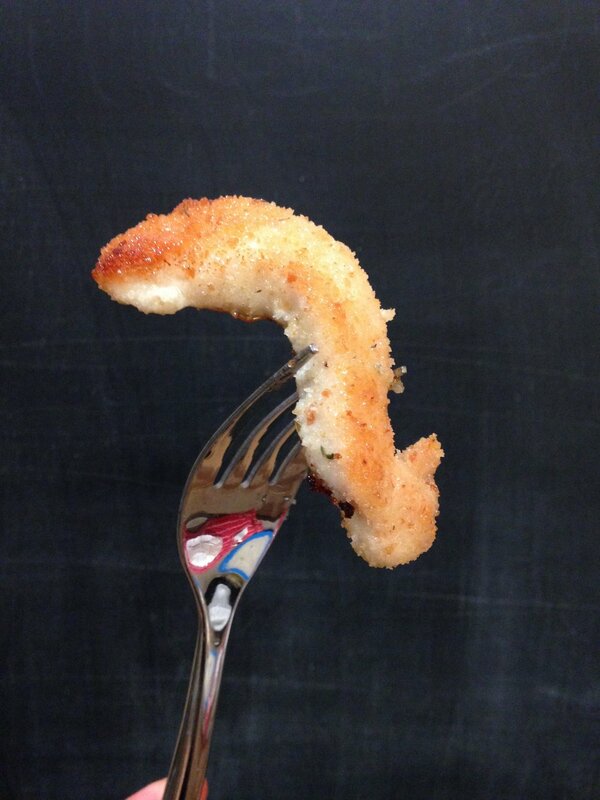 Because hunger is not picky. During that time, chicken McNuggets were heaven sent. As I write this I must be honest with you. In my work I allow myself to be picky - with regards to the quality of the food that I buy, where I buy it, and how I prepare it. But make no mistake, not for a moment do I forget what it feels like to be happy to have food. ANY food. And while I get to pick and choose and compare and criticize, I am also very clear on this: I am grateful for ANY meal that is cheap and filling for someone who is hungry. But back to the chicken nuggets. Even though I haven’t to McDonald’s in years, I still have fond memories of those little chicken medallions. So I decided to start making them at home. Mine are made from solid, not ground pieces of chicken, and they resemble chicken fingers. They are moist, easy to prepare and easy to eat. In one word, a package of YUM. Plus, these fingers give you the perfect opportunity to introduce different kinds of herbs and spices to your little one and expand their palate. 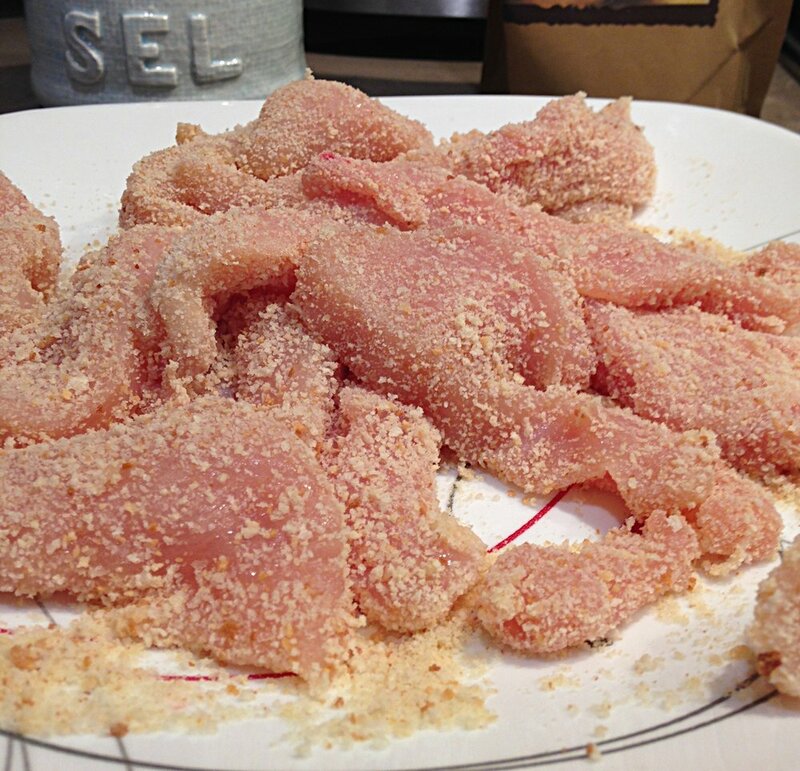 Slice the chicken breasts in 3/4 inch wide slices. Season with salt and pepper and the spices (pepper and spices are optional). Heat the ghee or the oil and place the chicken once the pan is hot. Fry 1-2 minutes on each side or until the chicken is no longer pink on the inside. *If you don’t feel like dealing with a dozen or more of chicken pieces, you can slice your breasts horizontally and make four large pieces. 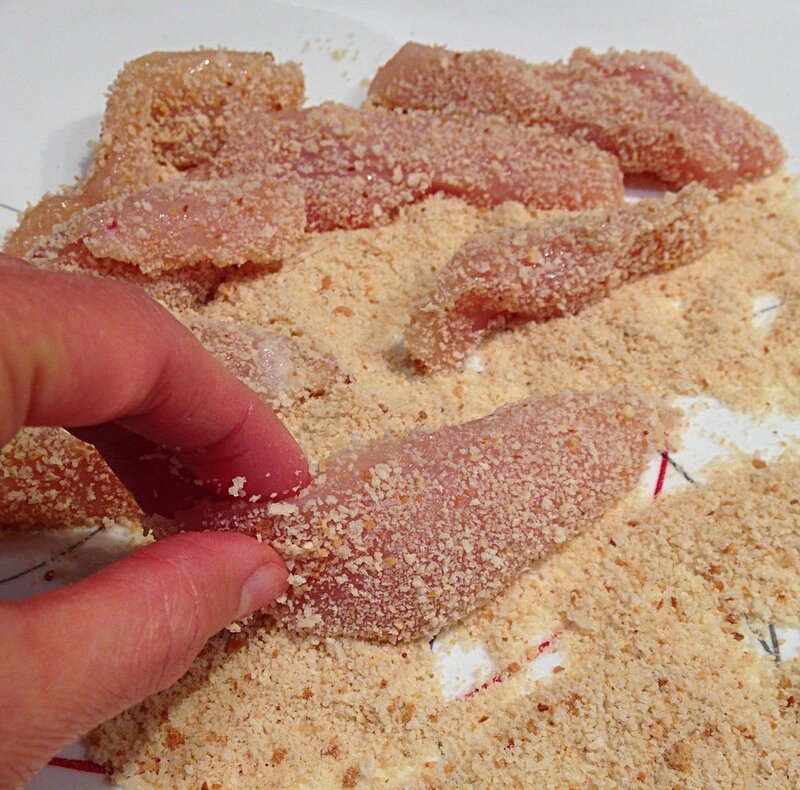 Coat them in the crumbs and fry for a few minutes longer.